Antique sewing machines are humble machines from our past that revolutionized an industry. First they were simple and served only a utilitarian function, then later they transformed into very beautiful creations. Antique sewing machines are appreciated both for what they have done for us as well as bringing us joy from their beauty. 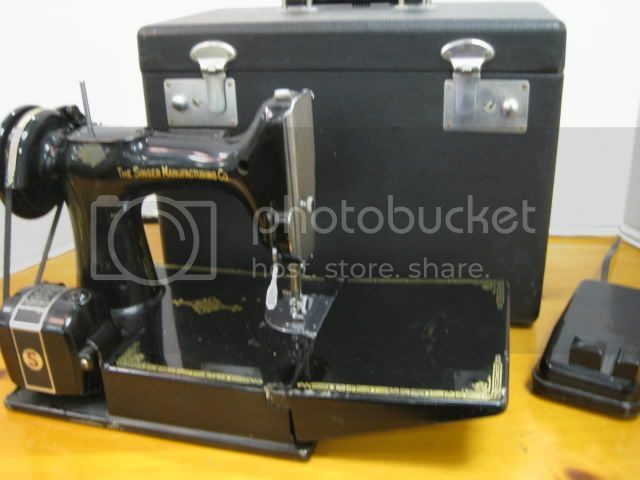 We buy vintage and antique sewing machines. 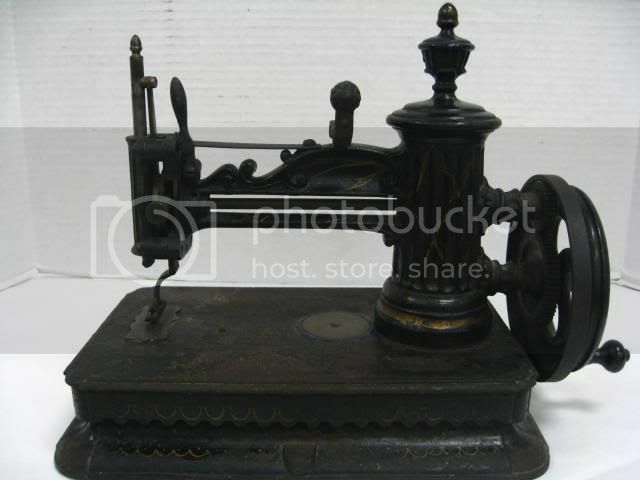 If you have a vintage or antique sewing machine you want to sell or have appraised Contact Us! 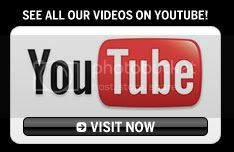 You can also see our Antique Sewing Machines Blog. Vintage Singer Featherweight Sewing Machine just into our antiques mall from a local retired resident. 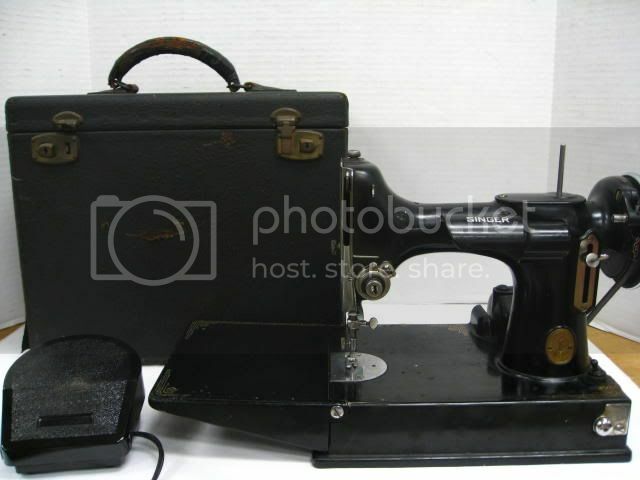 This is a great Singer Sewing machine with case, pedal, and vintage Singer manual. It has been tested and runs very strong. 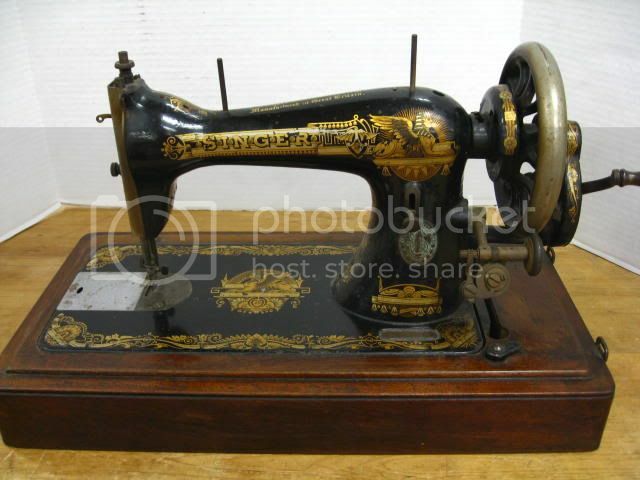 We buy Singer Sewing machines and we buy antique sewing machines as often as we can. This is one is a nice one to have for anyone that will be using it on a pretty regular basis. This is an antique sewing machine that has just come into our antiques mall. As you can see it comes with the original hand painted enamel metal case. The sewing machine is also hand painted with a lovely all over birds and flowers pattern. The hand crank still turns very easily and smoothly. This sewing machine was obviously very well cared for by its original owner. It does have a hallmark with two "B"'s with wings and it is stamped Germany. The case measures about 9.5"X12" and the miniature sewing machine is just smaller fitting snugly into it. We also buy antique sewing machines. If you would like help with your antique sewing machines please contact us. 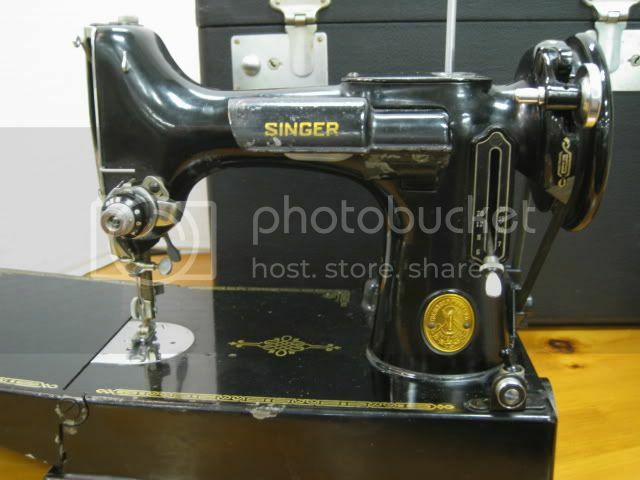 Just into our Antiques Mall from a group of well cared for vintage Singer Sewing Machines is this great vintage Singer Featherweight with pedal, case, and attachments. Its in good working order and ready to be used for years to comes. 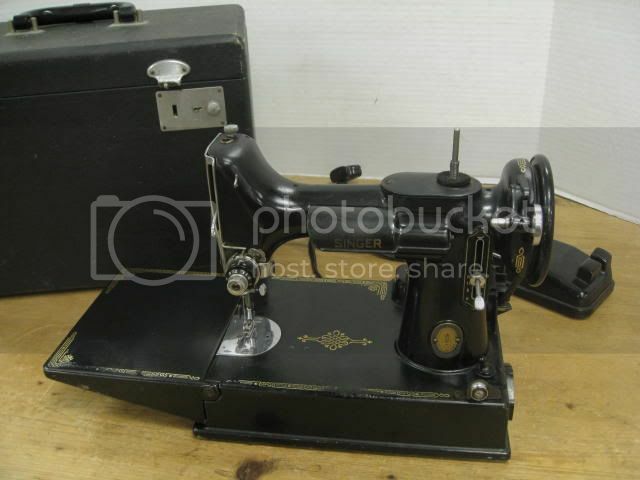 We buy Singer Sewing machines on a regular basis at our antiques mall and this one is one of the nicer ones we have had come in. The Singer serial numbers on this machine are AK774279 dating this model back to 1952. 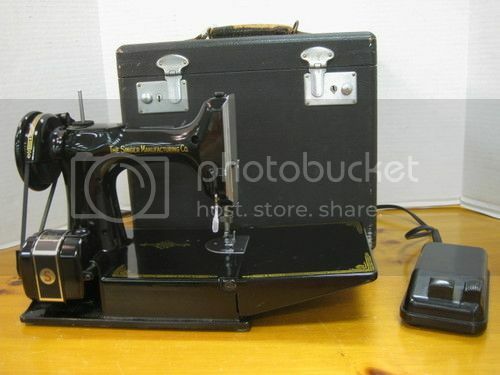 This is a nice vintage featherweight Singer sewing machine. It has it's case, foot pedal, and extras. The Singer Sewing Machine serial numbers are AL21143 dating it back to 1954. 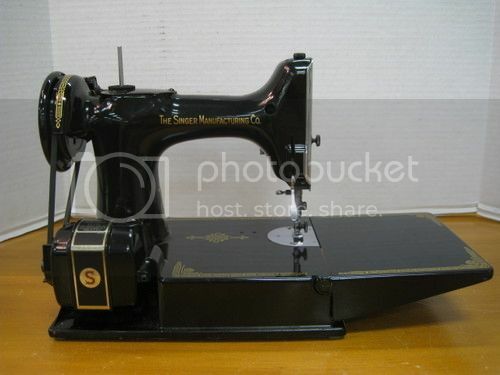 This is a nice vintage featherweight Singer sewing machine. It has it's case, foot pedal, and extras. 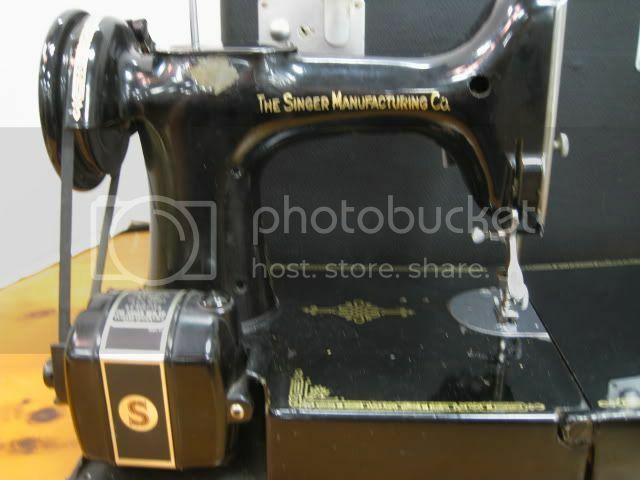 The Singer Sewing Machine serial numbers are AH811739 dating it back to 1948. Singer Sewing Machines we just got in! 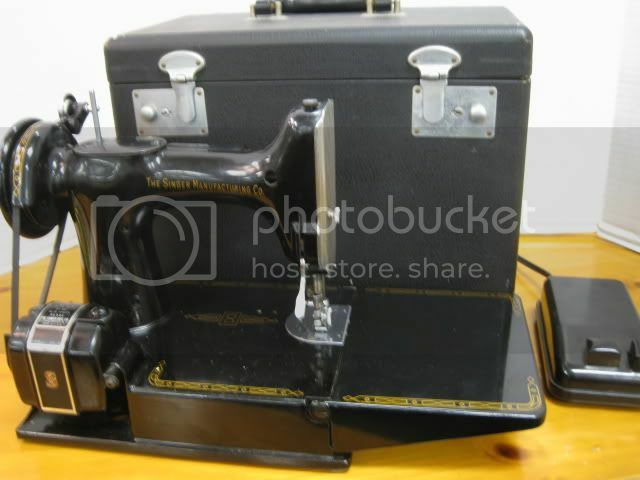 This is a very nice vintage Singer Featherweight sewing machine that just came into our antiques mall. It comes with it's case and foot pedal. This machine is clean and runs well. 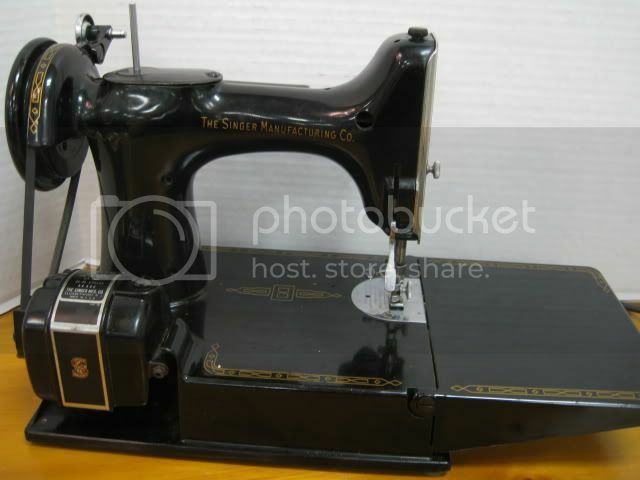 The Singer Sewing machines serial numbers for this machine are AJ893971. 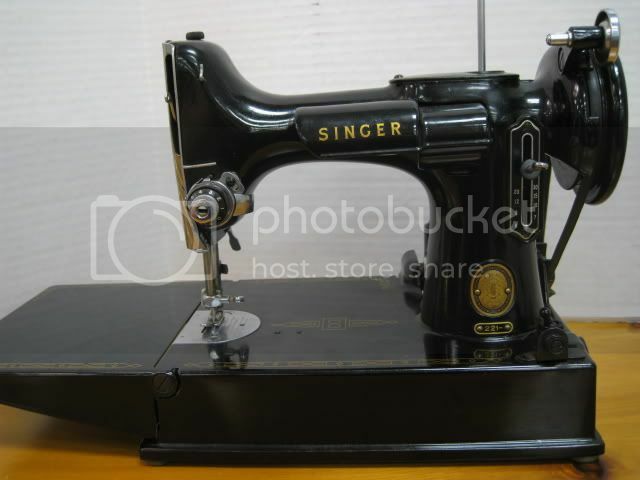 Those Singer serial numbers tell us this machine was made in Elizabeth, New Jersey USA around 1950. This is a great vintage sewing machine and just one of the vintage or antique sewing machines you will find in our antiques mall. 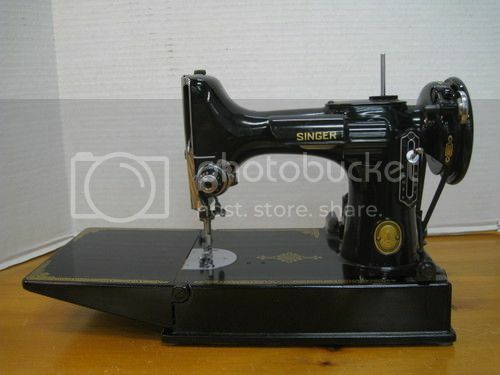 Singer Sewing Machines are probably the most sought after American sewing machines. The Singer Corporation was started by Isaac Merrit Singer back in 1851. Most of the vintage Singer sewing machines you see today will be from the first Singer factory built for mass production in Elizabeth, New Jersey. This factory was built in 1863 and enabled most Americans to have a home sewing machine. By the 1870's the Singer Sewing Machines were known world wide with Singer manufacturing plants in several different countries. The Singer Featherweight 221 is light and portable. This made them very popular with women of the time and continue to be popular today. These machines were only made between 1933-1964. Weighing only 11 pounds and having a fold up extension platform, this model is compact and made to be carried around. Each came with its own carrying case. The parts are all metal for durability. Vintage Singer Featherweight Sewing Machines are know for their quality and most still hum along today. Here are a few of the vintage Singer Featherweight Sewing Machines we have on hand now.